After all these years, there are still wonderful images that surface for us to marvel at. 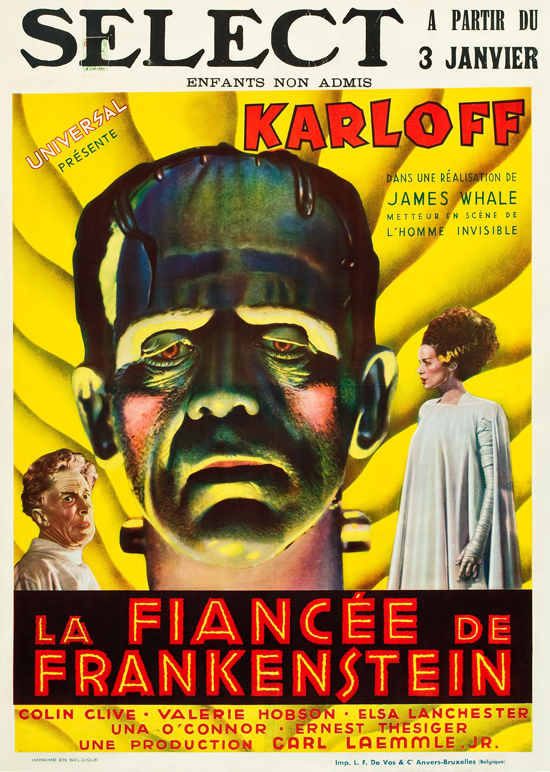 Currently on offer from Heritage Auctions is this stunning poster announcing a January 1936 showing of La Fiancée de Frankenstein. The unusual layout features colorized photographs. 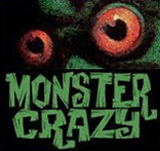 The artist went overboard with Boris Karloff’s Monster done up with green skin, yellow highlights, red eyes and rouged cheeks. 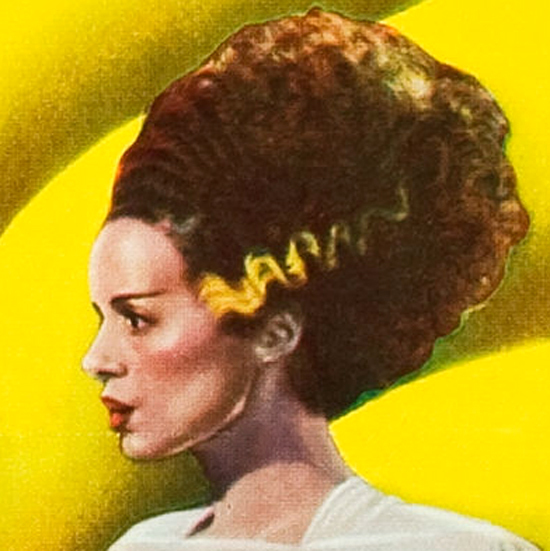 Ernest Thesiger’s Dr. Pretorius is more controlled, with champagne hair, and Elsa Lanchester’s Bride is beautifully rendered, with blonde hairstreaks. The poster, its designer unfortunately unidentified, is another beautiful print by Belgian lithographer L. F. De Vos & Cie whose artist in the mid-30s included a moonlighting René Magritte, no less. 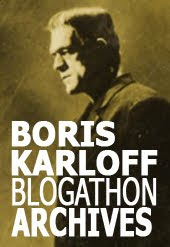 We’ll never know if he worked on a Frankenstein poster but, hey, wouldn’t that be something if he did? With the flesh tones mixing in with the green, and the fact that this is the "Bride of Frankenstein" version of the monster, this depiction reminds me of the Azrak-Hamway 8" figures from the 1970s.